Integrate the industry-leading booking engine for thousands of tours and activities around the world on your website without losing your branding, and earn commission on every sale. 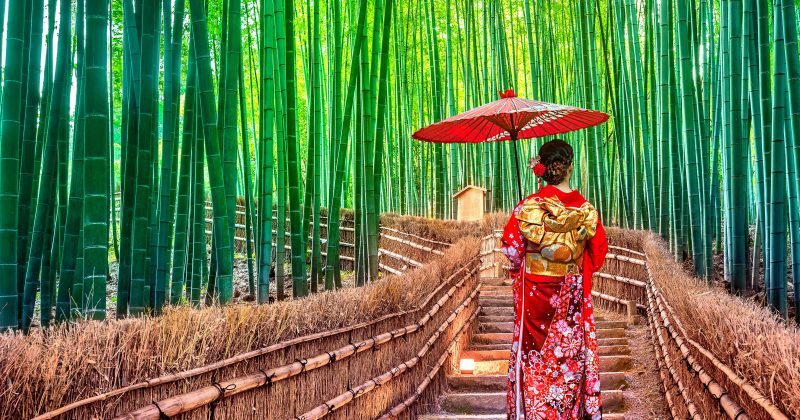 The official airline of the Japan, JAL is one of the many airlines that partners with VELTRA to book their passenger’s destination tours and activities. 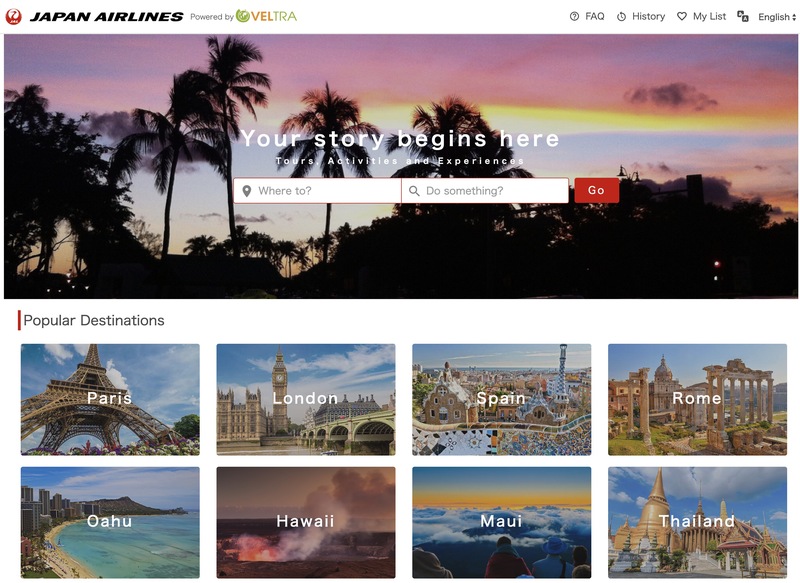 Click here to see how JAL integrates our co-branding solution into their website. 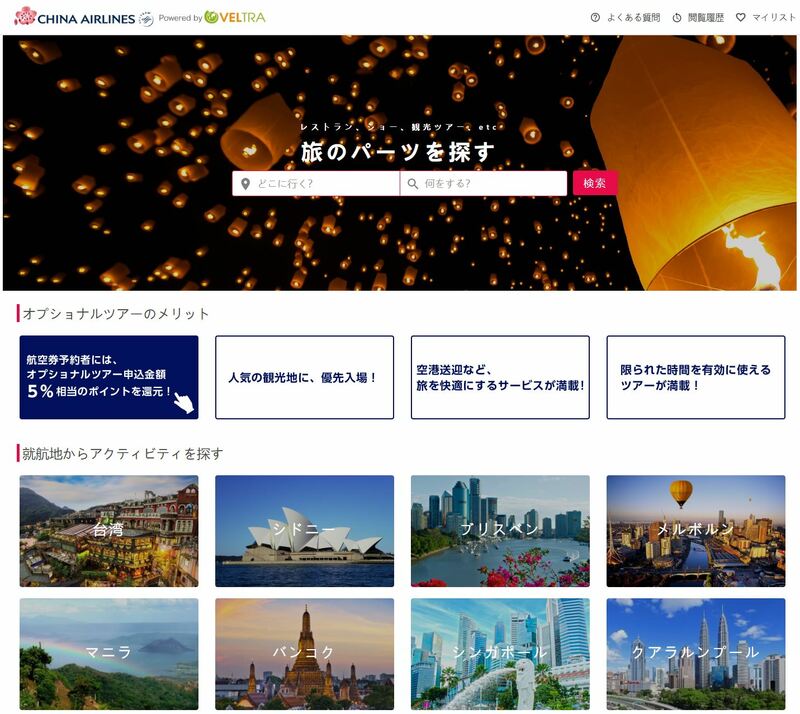 China Airlines is another airline who uses VELTRA’s white label solution to offer the thousands of tours and activities to their Japanese passengers. Click here to see how China Airlines integrates our co-branding solution into their website.